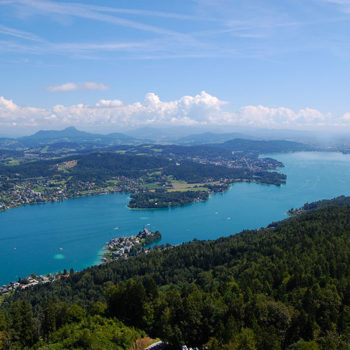 Surrounded by a fantastic Alpine panorama, with access to loads of water sports and Mediterranean bathing temperatures, the Wörthersee is one of Austria’s most popular summer holiday destinations. 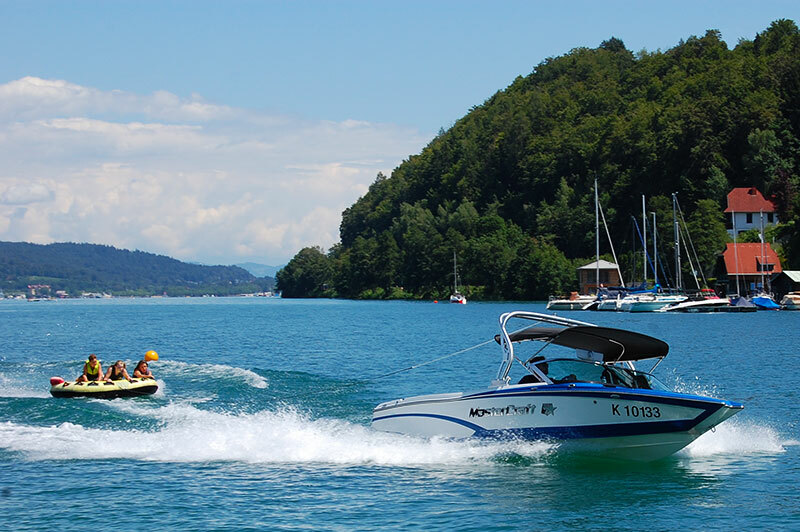 You can easily spend a week at Wörthersee without running out of fun activities. Many of Austria’s rich and famous have a cottage by the lake. 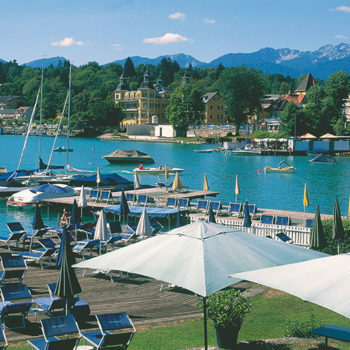 Especially the village of Velden with its casino is a playground for the rich. Fortunately, the lake is big enough for local and normal tourists to play around, on and in the water as well. 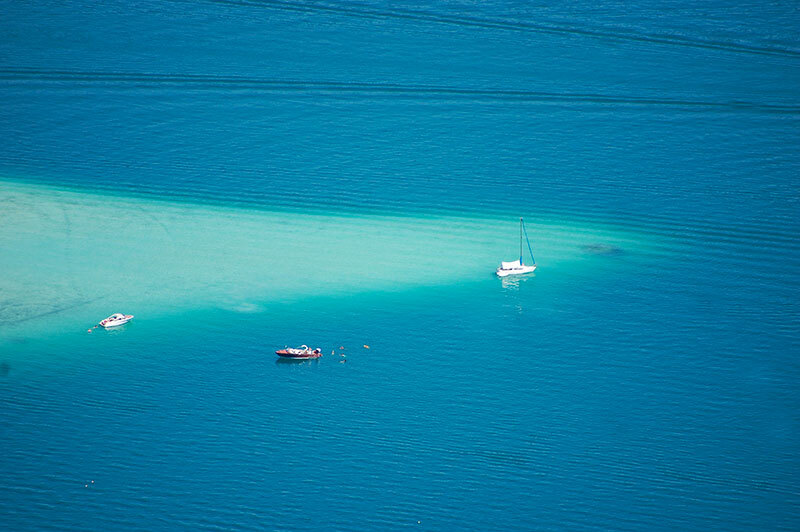 The almost 17-kilometer-long lake in Carinthia is one of Austria’s warmest lakes. 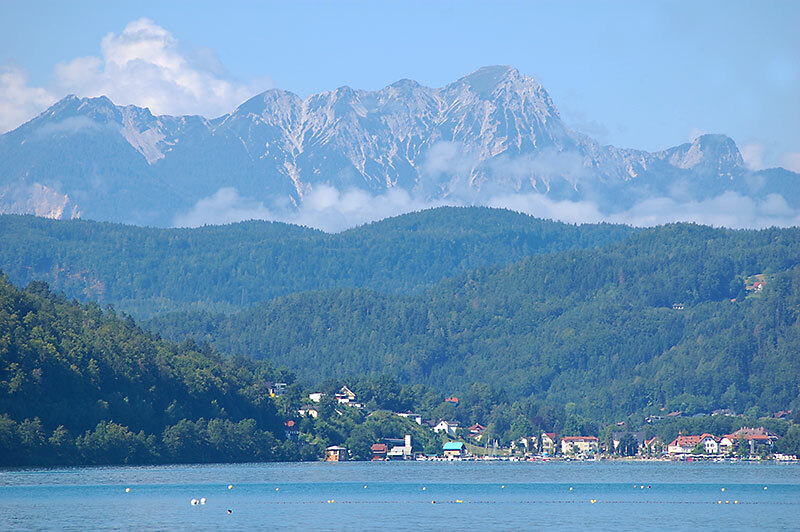 The lake has been named after the small village of Maria Wörth, which is one of eight villages and towns situated by the Wörthersee. 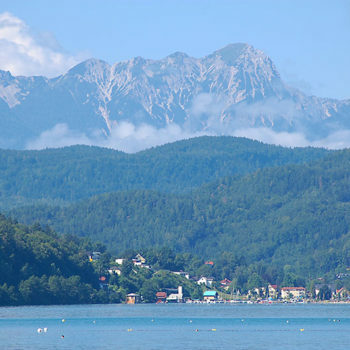 The largest is Carinthia’s capital Klagenfurt, at the eastern shore of Wörthersee. 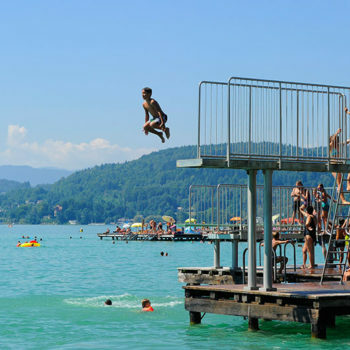 Although Wörthersee is more than 85 meters deep at its deepest and at times partly covered with ice in the winter, it still reaches a water temperature of around 25 °C during the summer. If you stay at a beachfront hotel you simply must enjoy the lake. For those who do not have this luxury, there are several public bathing parks around the lake. 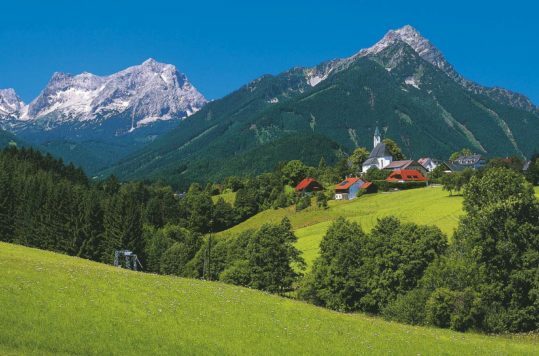 Most often you have to pay, but Freibad Edelweiss between Pörtschach and Krumpendorf is free. Pörtschach also has a great public beach on a peninsula that juts out into the lake. At Krumpendorf it is not easy to get down to the water’s edge, but there is an opportunity at Café Schamandra, approx. one kilometre east of Krumpendorf. 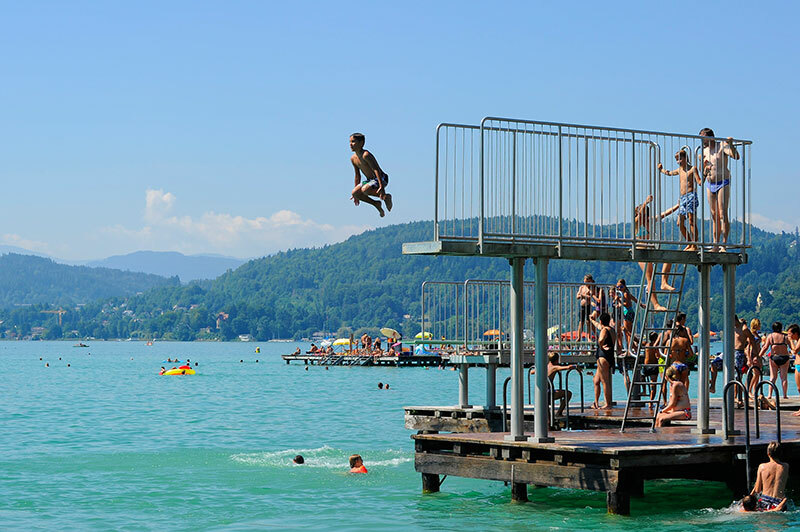 The largest public beach of all of them is located at Klagenfurt, where on warm summer days there can be up to 30,000 people enjoying themselves by the Wörthersee. For those who want more than just splashing around at the water front, you can find several water sports centres around the lake. There are water sports activities for everyone, such as: motor and sailboats, pedal boats, electric boats, banana boat, parasailing, wakeboard, water skiing, windsurfing and stand up paddle. 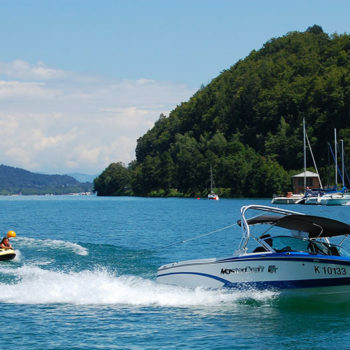 In Krumpendorf you will also find a diving center for those who want to see Wörthersee underwater. 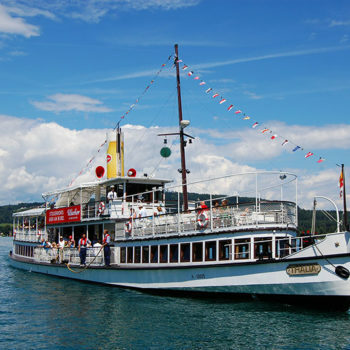 Tourism is not a new phenomenon on Lake Wörth, and especially boat trips have long been popular. From its very beginning in 1853 it kicked off with 30,000 passengers that year. Already, in 1883 a passenger volume of 175,000 was reached. It is easy to understand why, after taking a round on the lake with the steamship “Thalia“. Of course, you do not have to take a whole round trip on the same trip, but you can jump on and off as desired. 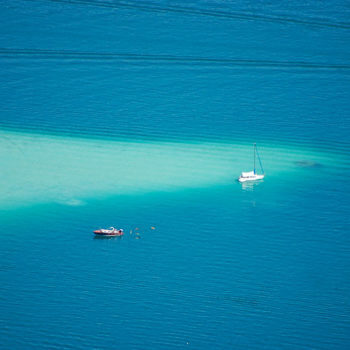 There are also other possibilities for enjoying the summer on the water. 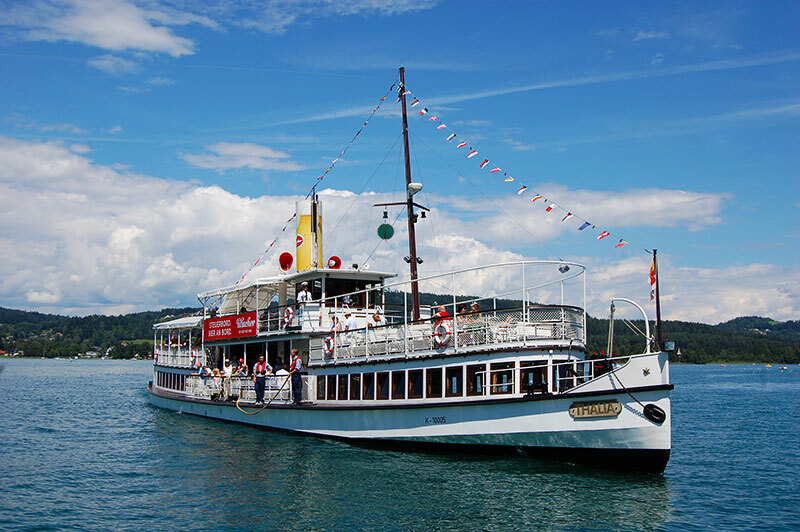 Either you can rent your own boat or take a tour with some of the party boats that travel Wörthersee in the summer. 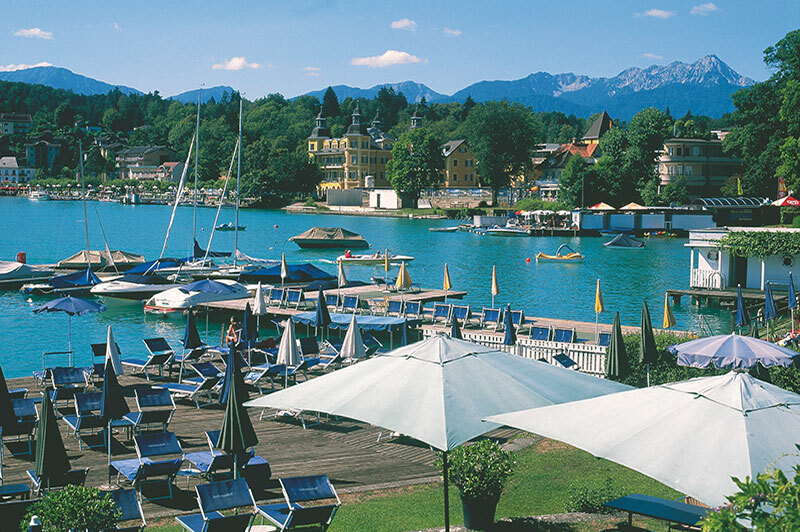 At the eastern end of Wörthersee you find Klagenfurt, the lovely state capital of Carinthia. The historic city centre (Innere Stadt) is characterized by Baroque and Art Nouveau facades. Small and large squares, narrow alleys and pedestrian streets make the city center of Klagenfurt a fun place to explore. The best view of the entire lake is from the 851 m high Pyramidenkogel. Not only that, one has placed a 100-meter-tall tower of wood and steel on top of the hill. 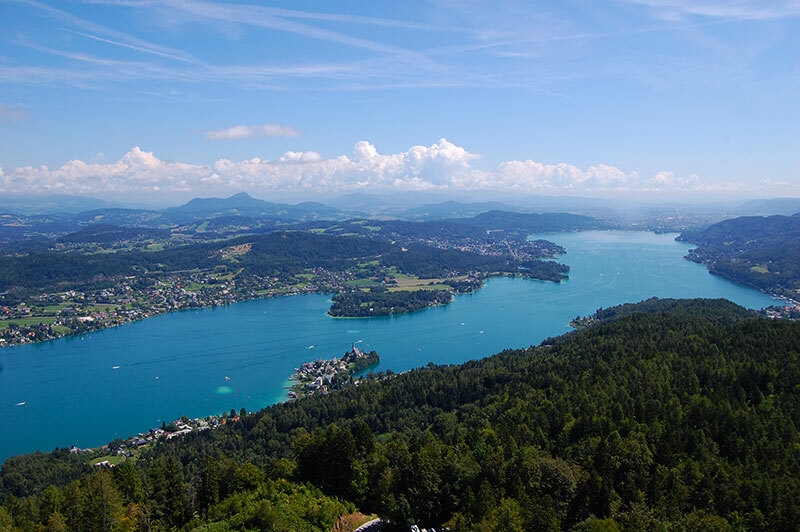 The upper viewing platform at 83 m gives you amazing views, not only over Lake Wörthersee, but also the surrounding areas. You can either go straight right up to the tower by car or you can take the boat to Reifnitz and continue with a bus up to the tower. If you want a break from the beach life, we recommend a trip to the medieval castle Burg Hochosterwitz, thrones on top of a limestone cliff with views of all celestial directions. 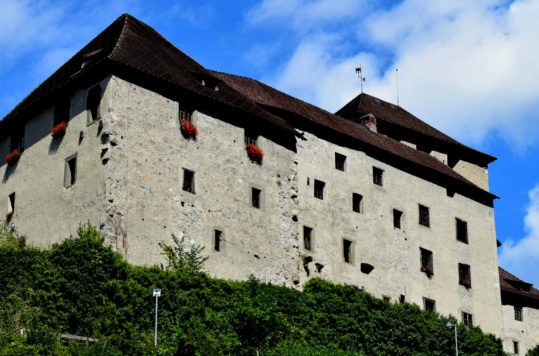 The castle is taken out of an adventure book and is only 20 km from Klagenfurt. 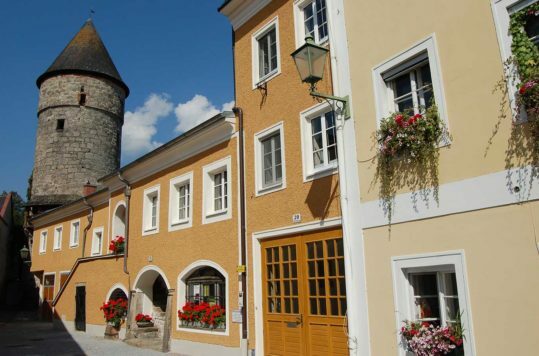 This is one of the most beautiful medieval cities in Austria, which is open to the public.